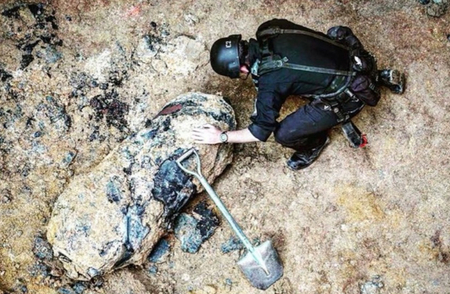 Hong Kong, China Construction workers in Hong Kong were shocked to unearth a 1,000-pound WWII-era bomb. The senior bomb disposal officer on scene, Tony Chow Shek-kin, said that he believes the bomb was American made, and was most likely dropped into Hong Kong during the Japanese occupation of the city during the war. For safety, the surrounding area was evacuated and roads were closed. Nearly 1,300 people were forced to evacuate the area for 26 hours. During that time, a 10-man team from the EOD Bureau performed a complicated 12-hour deactivation of the bomb. The disarming was a success, and no one was harmed during the disarming or disposal processes.